The Gaylord Area Convention & Tourism Bureau, along with area hotels, vacation rentals and Treetops Resort, welcome winter with FREE SKIING Friday, Saturday and Sunday, December 14 – 16, 2018. Said to be the most family-friendly resort in Michigan, Treetops is excited to make winter fun free! Early season getaways include free skiing with your lodging at participating Gaylord area properties. The Ski Free packages start at just $42 per person/per room at Gaylord area properties, and if you want to stay right where all the action is, just $109 per room, per night at Treetops Resort. Each overnight guest will receive a free lift ticket voucher, valid for one day of skiing. Free skiing begins on Friday, December 14th at 10:00 a.m. and continues throughout the day on both Saturday and Sunday. (Based on double occupancy – max of 2 free tickets per room). Whether you’re snowboarding or skiing, the lift ticket is free! “This is a great weekend to learn to ski, too,” said Paul Beachnau, Gaylord Area Tourism Bureau Executive Director. Treetops Resort will be offering a free Learn to Ski Clinic on Saturday, December 15th. “An easy way to start the ski season is through a free ski clinic. Whether you’re trying the sport for the first time, or a seasoned skier or boarder, the Ski Free weekend makes for a great getaway,” Beachnau went on to say. Many area properties are excited to be a part of Gaylord’s Ski Free weekend. A special treat after a winter day is relaxing at your very own cabin, condo or house, and guests will appreciate the attention to every detail and superior hospitality provided by Pine Cone Rentals. If you prefer the hotel experience, our two newest properties, the Holiday Inn Express and the Fairfield Inn & Suites will both be taking part in Ski Free Weekend. “Some other great lodging options include the Quality Inn, Baymont Inn and Suites, Hampton Inn and the American Alpine Lodge. There is nothing like soaking in a steaming hot tub or heated pool after a long day on the trail. For a quaint and cozy room away from the hustle and bustle of town, try the Waters Inn, located in nearby Waters just south of Gaylord,” Beachnau shared. Treetops Resort is known as Northern Michigan’s Winter Playground with 23 downhill slopes, miles of cross-country trails, terrain parks, extreme tubing, dog sledding and sleigh rides. While you’re visiting, take advantage of the award-winning Children’s Center, full-service spa, heated indoor pools and hot tubs, a variety of dining and accommodation options. Treetops is perfect for all ages, from the very youngest of skiers to the expert boarder and everyone in between. 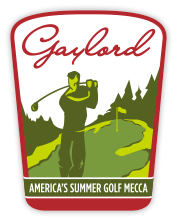 Located in the exact center of northern Michigan on the 45th parallel, the Gaylord area is a recreation seeker’s paradise! Visitors will want to experience all Gaylord has to offer this winter season, including scenic snowshoe and cross country trails, exciting downhill and tubing runs, fat tire biking, ice fishing one of our pristine lakes and snowmobiling on the Midwest’s most convenient trail system, the North Central State Trail, which takes enthusiasts from Gaylord to Mackinaw City. 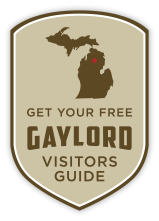 Reserving your Gaylord Free Ski Weekend is Easy! Just visit www.gaylordmichigan.net or www.treetops.com for information on reserving your room and free lift ticket. For more information on winter fun, call Treetops Resort at (888) TREETOPS. Select Your Lodging Property & Tell Them You Want To Ski Free!